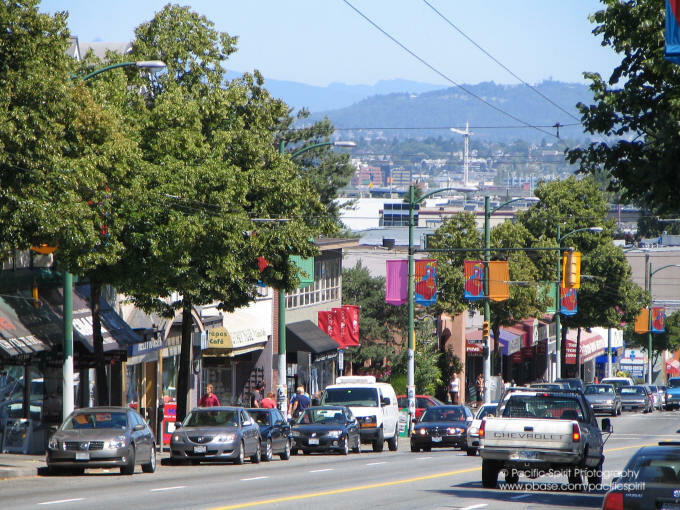 Kitsilano – or Kits as it’s locally known – was the first area of Vancouver I’d heard about before we made the move. That’s in part due to the fact that Facebook groups I were part of for moving to Canada all talked about it. I quickly realised that the Kitsilano neighbourhood of Vancouver is home to a lot of British and Irish expats. (As I write this I’m sat at a coffeeshop there and at least half the people here are British!). On our first evening after our mammoth road trip across the USA was spent watching the sunset on Kitsilano beach and then grabbing some celebratory pizza. It’s packed full of exercise studios, dogs, and juice bars. Lululemon was founded here and still have one of their main offices in Kits. In the 1960s it was Vancouver’s hippy hand out and nowadays it’s got a bit more of a young (and wealthy) family vibe. 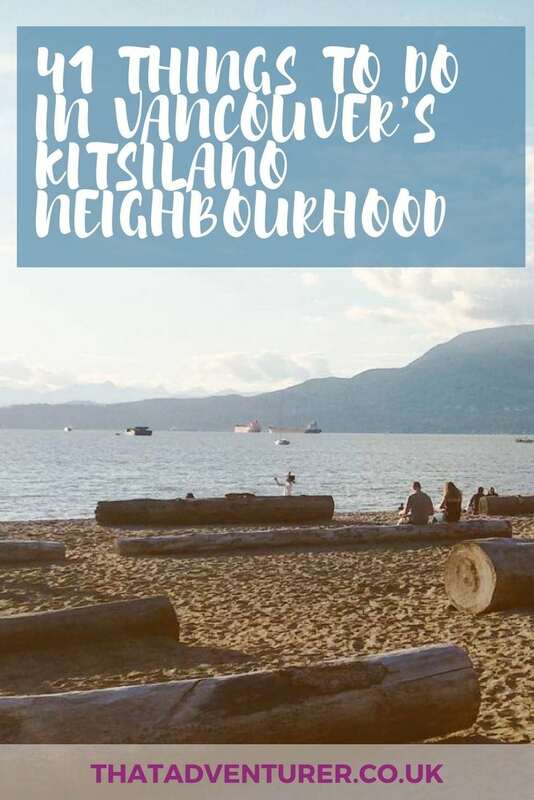 Whilst Vancouver’s West End is still my favourite part of the city, there are so many things to do in Kitsilano and it’s a great place to stay on a holiday to Vancouver. And hey, if you’re into yoga every day, juice bars and have a closet that resembles a Lululemon showroom then you’ll love it even more! For a shopping experience that even the men in your life will find fun then walk into Stepback. This shop will keep you browsing for several hours thanks to the trinkets, homewards, kitchenware, old Vancouver postcards and journals. While you’re in Kitsilano you won’t be able to resit walking some of the seawall. The seawall gives you the best views of Stanley Park, the North Shore and the skyscrapers of downtown Vancouver. If you want a slightly longer walk you can head west from Kitsilano over to Spanish Banks and Jerico Beach (probably the best beaches in Vancouver), or west towards Granville Island. Come to stare at fancy yachts and stay for this tiny stretch of beach. Sure it’s got a few rocks and not much space to chill. But it’s a good spot for beach combing! You’ll notice lots of little sea buses crossing False Creek in Vancouver and they’re a great form of transport. Most of the stops are downtown but you can also take one from Kitsilano and head over to Sunset Beach or towards Granville Island. It’s probably one of the most fun ways to get around. Winding around Kitsilano Point towards Kits Beach in the west, and Burrard Bridge in the east, Vanier Park is home to three of Vancouver’s museums. It’s also host to the annual Bard on the Beach Shakspeare Festival and a popular picnic spot. If you’re a dog owner, or lover, you’ll like it down here as it’s super close to the dog park at Kitsilano. It’s also a great place to watch the annual Celebration of Light fireworks event that takes place in July & August. There’s more room to spread out and less people than at English Bay! Vancouver doesn’t have many museums (especially when compared to London), but it does have a couple down near Kitsilano. Here you’ll find the Museum of Vancouver, the HR Macmillan Space Centre and the Maritime Museum. They’re a great for things to do in Vancouver in a downpour! The Museum of Vancouver (MOV) has had a lot of work done on it in the past few years. Nowadays its updated exhibits are aimed at culturally minded adults. There’s still the displays about the local 1950s pop culture and then the hippies in 1960s too. There’s also a gallery of vintage neon signs from around Vancouver that’s interesting to take a look at! The prize exhibit at the Maritime museum is the St Roch, a 1928 Royal Canadian Mounted Police Arctic patrol boat that was the first to navigate the legendary Northwest Passage. Make sure you don’t miss out on the old ships outside the museum which include the Ben Franklin, a NASA undersea research vessel that looks a little like the Beatles’ Yellow Submarine! The exhibits here are a bit old and dated but the main attractions are really the live science demonstrations that take place and the 45-minute planetarium shows. The planetarium presentation on Saturday nights is almost like a party and definitely aimed more at adults. There are a few Tractor locations around Vancouver. Nowhere does it seem quite as much at home as in Kitsilano. Tractor serve up great salads and sandwiches and they’ll leave you feeling pleasantly full at lunchtime. If the weather is nice then there’s no where better to get your morning caffeine fix than Viva Fine Foods & Bakery on Cornwall & Yew. There’s a Starbucks just as the end of the road but skip the chain and walk a few metres to here. Try and get a seat outside on their terrace and gaze at the sea at the end of the road. Oh, and if you’re peckish their raspberry oatmeal muffin gets a big thumbs up from me! Kistilano has plenty of tennis courts that are right near the sea. You can book these courts for $$$$ and work up a sweat. Fable is one of Vancouver’s favourite farm-to-table restaurants. They serve up bistro dishes with local ingredients such as duck, lamb and fish. It gets super busy in the evenings so you’ll need to book! You could also try and grab a table for lunch where I hear the Ploughman’s platter is great value, or get up early and get brunch at Fable. Describing itself as ‘Kitsilano’s best kept secret’, Corduroy is located just on the Kits side of Burrard Bridge. It’s a tiny spot with strange artworks, carved masks, sometimes skis and deer horns. Corduroy brew their own beer, have very tempting cocktails on offer, and also hold live events. But don’t just go here for the drinks! There’s also award winning poutine, spicy lamb sausage pizza, and addictive Bourbon bbq wings waiting to be tried! Expect a wait on a nice summer’s evening, locals have known about this place since 2008 and love it! Serano Greek Pastry is a place you’ll walk past and then have to turn back and go inside. The smell of the Greek baked goods will tempt you in for sure! Pick up a spanakopita for something savoury but make sure you also get some cakes, pastries or meringues. The only downside is that the treats sell out quickly, so you’ll have to head there in the morning and pick something up for later that day. During the summer Kitsilano sets up some volleyball courts right on the beach. It’s best to go midweek if you’re a bit nervous about showing off your (lack of) volleyball skills as come the weekend the pros are out in force. From May to September swimmers from the Vancouver Open Water Swimming Society (VOWSA) take to the sea on Monday and Thursday evenings. The beginning and end of the season sees most of them in wetsuits but there’s a few days here and there where they’ll wade out into the sea and do a couple of miles without a wetsuit. 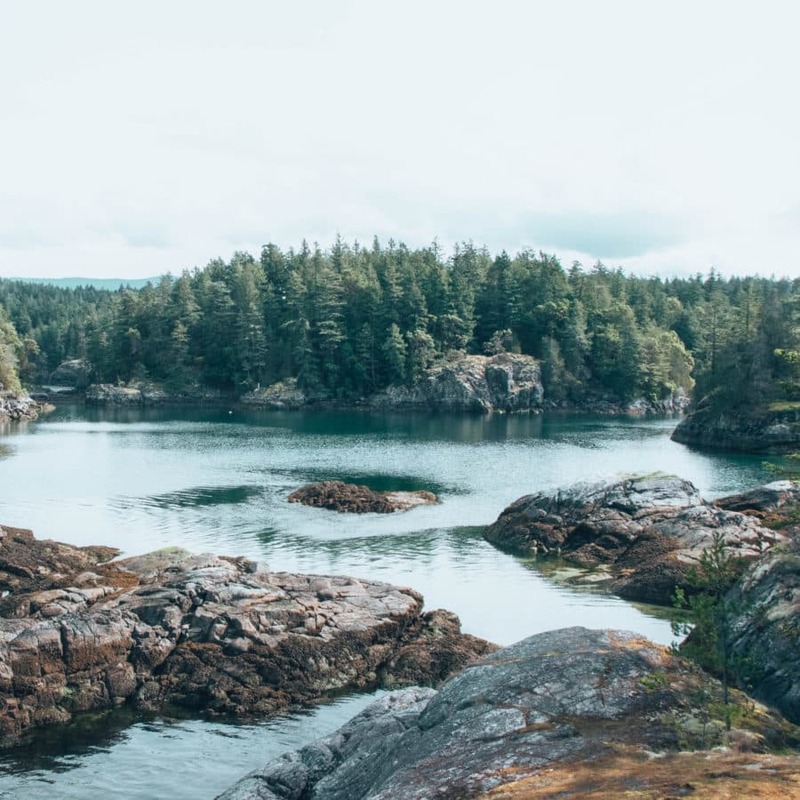 If you like swimming and are visiting Vancouver in the summer then come join me and a bunch of others on a sea swim! I have never seen so many outdoors shops in one place. West 4th Avenue in Kitsilano is a parade of outdoor shops from The North Face to Arcteryx and plenty more in between. If you need some outdoor gear then this is the place to go. Although maybe time your visit with a sale so you don’t end up broke. If you want an insight into Kits’ hippy past then head to vegetarian and vegan restaurant Naam in Vancouver. There’s an absolutely ginormous menu including omelettes, burgers (veggie of course), stir-fries and curries. You’ll dine alongside some live music every night from about 7pm. If you’re getting back late, or up early you’ll be pleased to know that Naam is open 24 hours a day although it’s worth nothing the menu is slightly smaller over night. If you love dogs but don’t have your own the the Kitsilano dog beach park is a fun place to hang out. It’s one of the few beach areas in Vancouver where dogs are allowed to roam free and they love it! Turf promotes itself as a place to hang out, work out and take out. They run exercise classes, have space you can work with your laptop and also make tasty, healthy food. 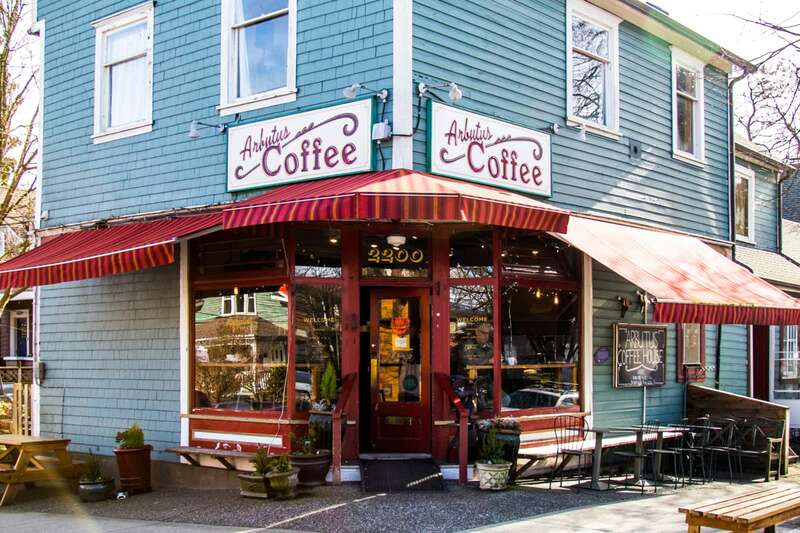 If you want to feel like your stereotypical Kitsilano local then you’ll have to visit here. Kitsilano seasonal farmers market, which runs during the summer months, is one of the city’s most popular. Pick up a week’s worth of freshly strawberries, heirloom tomatoes, lettuces, and newer produce like tempeh. Even if you’ve done your shopping already, a walk around a farmer’s market is always good fun! Cartems Donuts are something of a Vancouver institution. This location in Kits is the newest location and sells the tasty, unique flavoured donuts that Vancouverites know and love. Some favourites are; salted caramel (as always), Earl Grey or the Canadian whiskey bacon. You can also get some local Earnest Ice Cream at Cartems if you haven’t had quite enough sugar! 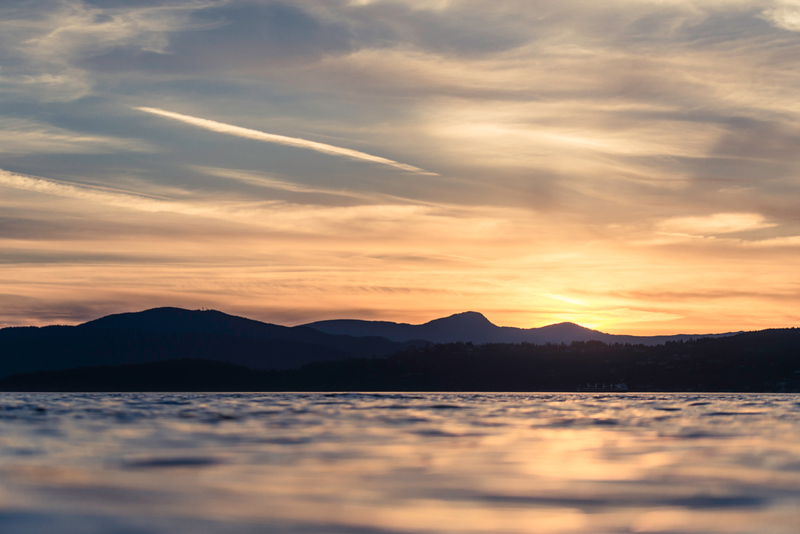 If you have your own kayaks then head over to Kitsilano and paddle west towards Jericho Beach. Alternatively you can rent kayaks and stand up paddle boards from a stand on the beach during the summer. This isn’t a coffee shop you’d just happen to walk by unless you were Vancouver local. But, now you know about it, make sure you stop in and grab a coffee. The exterior is super cute and sits in amongst residential buildings. You can just imagine living nearby and popping down for your morning coffee as you head of to work! Right next to Kitsilano Pool is the 80 year old Kitsilano showboat. 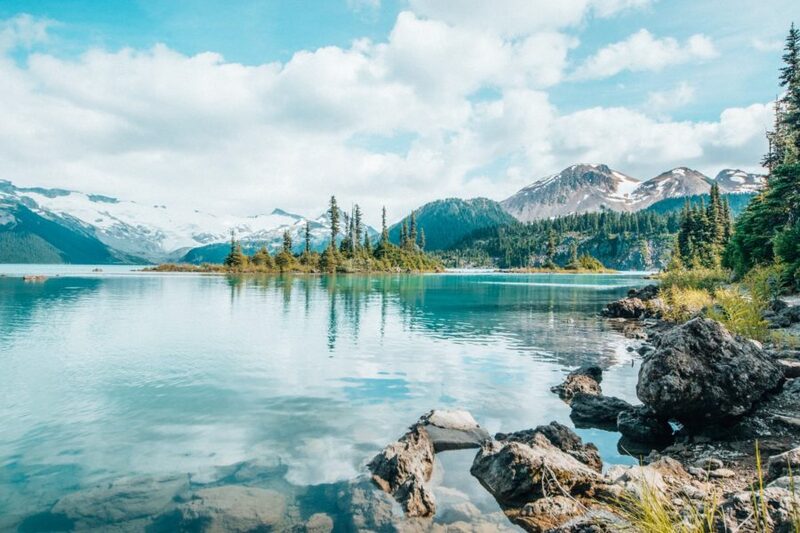 It’s actually a stage that offers free shows and concerts during the summer and, as a backdrop, you’ve got the northshore mountains and the forest canopy of Stanley Park. Not bad, eh? Zulu Records is a small but great indie music store in Kitsilano. Browse through hundreds of vinyl and CDs, and come across something that was previously hard to find! You can also get show tickets here for local concerts if you fancy a live music fix. Along the finished parts of the Arbutus Greenway Park (see below for more) is Vancouver City Farmer. This area is staffed by volunteers who have created some beautiful gardens. 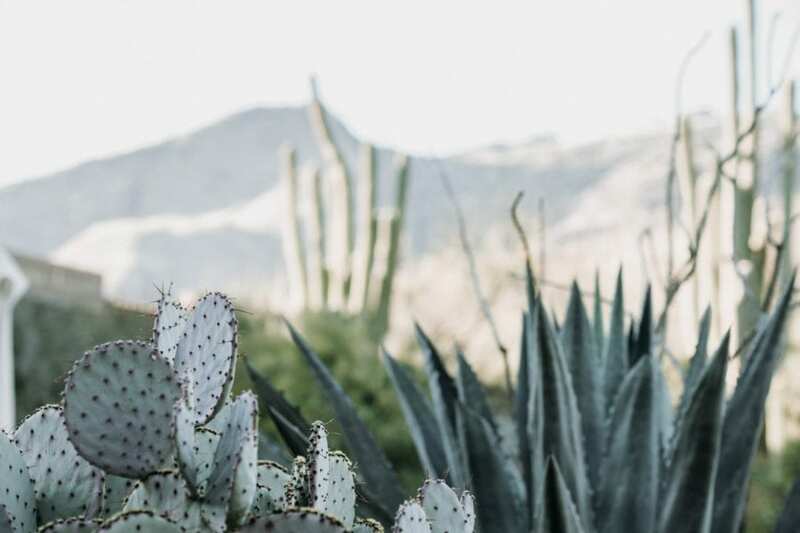 There’s the biodiversity garden and climate-change garden and you can also attend a talk to learn about composting and water-efficient horticulture. 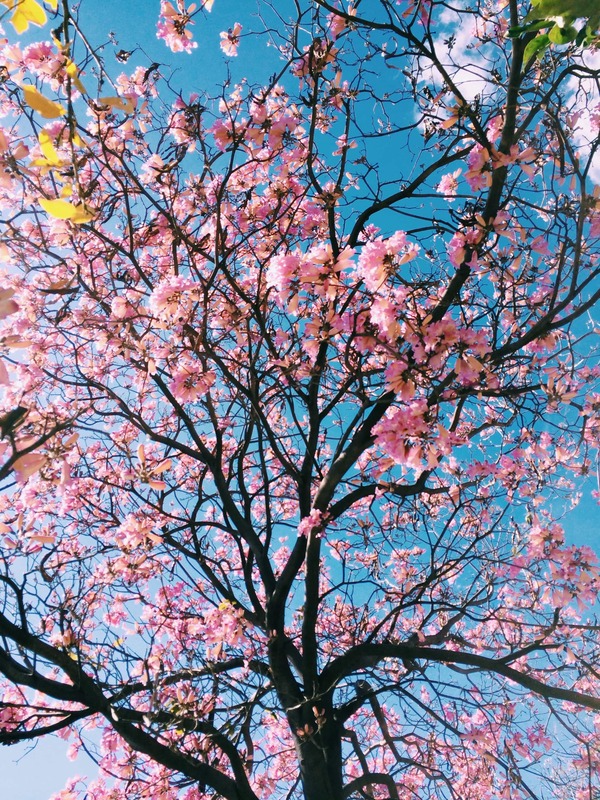 If you’re visiting alone you can just take a wander and enjoy the flowers. The Arbutus Greenway is undergoing planning and development and there’s still parts waiting to be finished. But you can still cycle or walk it from Kitsilano all the way into South Vancouver. It’s a good cycling option for families, since you’re on a very separate cycle path from traffic. Tera V Burger aims to convert carnivores into herbivores. Instead of bacon sandwiches and burgers you’ll find grilled Tofurkey sandwiches and Thai ‘chicken’ salads. The veggies burgers are a good choice and get a side of yam fries! Most dishes can be made vegan too. There isn’t much by means of seating here (think of it as a veggie McDonalds). However, that doesn’t matter since the beach is so close! Not to actually buy a house (unless you’ve got a spare few million) but to just look and wish. There are some absolutely gorgeous houses in Kitsilano! This retro styled diner with green vinyl booths is a comfort food heaven. Expect good classics such as beef and turkey burgers with cheese and bacon toppings. The fries come in big portions and you HAVE to get a big milkshake to drink or you’re not doing it right! 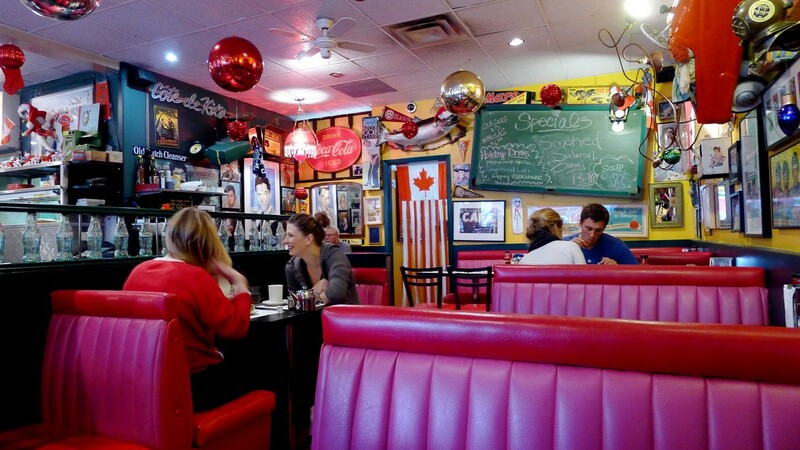 Sophie’s Cosmic Cafe on West 4th gets super busy for breakfast and lunch. The decoration in here is crazy and the walls are lined with lunch boxes, kids’ drawings and more. Come here for breakfast to feast on eggs and hash browns but expect to wait a little before getting a table at the weekend. Just on the border of Kitsilano and Point Grey, Margaret Piggot Park is a small grassy area with a couple of benches and great sea views. It’s a great place to stop for a while if you’re walking, running or cycling the sea wall. Rain or shine is considered to be one of Vancouver’s best ice cream places. In the summer you can expect a big queue outside their doors with people hoping to try flavours such as London Fog, Honey Lavender, Malted Milk Chocolate and more. Local is a big pub on the waterfront in Kitsilano. It has a huge outdoors area that fills up quickly during the summer. Head down early to reserve your spot and watch the sunset over the sea with a cool pint. The great thing about Vancouver is that you can bring a BBQ to any park in the summer unlike in London. Get a small BBQQ for the summer and head over to Kits on a nice day. Get there earlier in the day to secure your spot, bring a few books, some blankets and plenty of tasty food and relax by the beach. 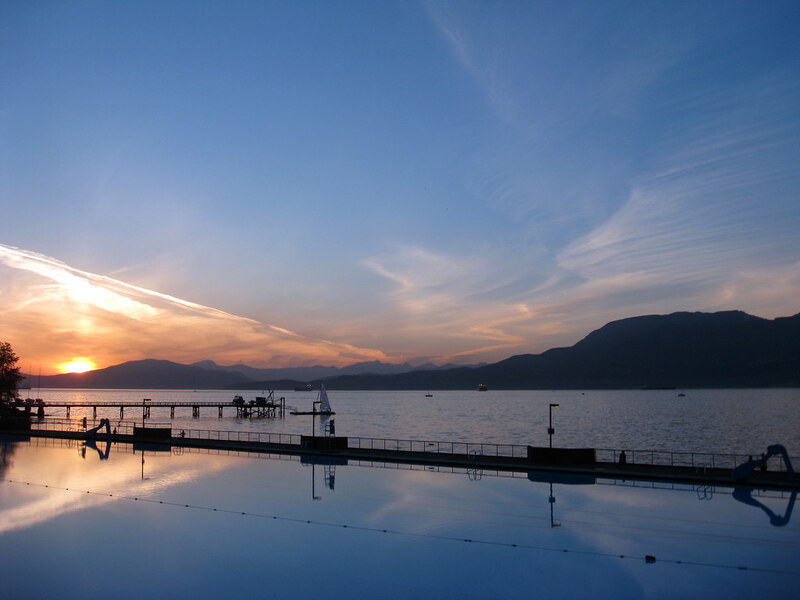 Kitsilano’s outdoor pool has undergone massive refurbishments this winter so it’s fresh and ready for the summer. A ticket for the pool costs $6.10 and it’s a warmer version of swimming in the sea! 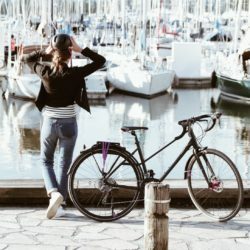 KitsFest is ‘Vancouver’s Hottest Sports & Healthy Living Beach Festival’ and 2018 is it’s 10th year! During the day there are all kinds of sports events taking place (including bath tub racing?!) and sunset beach yoga. Khatsahlano is a ginormous street party that’s held every year along West 4th Avenue. It’s Vancouver’s largest free art and music festival and it’s great fun! There are over 50 of Vancouver’s top musical performers, local artisans and street performers as well as a wide variety of food options, giveaways, special activities, and licensed beer gardens!